Now available on Amazon! Click here to order. Also available on Createspace.com, which gives us a bigger share of every sale, as well as a low-cost digital edition on Google Play. The majority of Americans are now either stepparents, stepchildren, or touched directly by a stepfamily scenario, yet the myth of the evil stepmother prevails. There have been plenty of books written that attempt to “normalize” stepparents, but too often they come across as didactic or preachy. Many books implicitly draw a line between “normal” families and stepfamilies, and unfortunately, that’s something which young readers pick up on. It’s time that the paradigms changed. It’s time that stepparents entered children’s literature not as teachers of what stepfamilies are like, but as just another character, or perhaps even a hero. 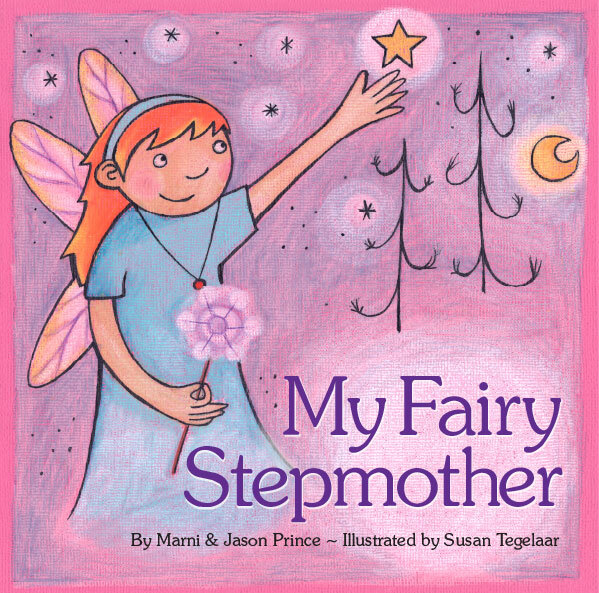 My Fairy Stepmother turns the Cinderella myth on it’s head, with a caring stepmother who helps her step-daughter find strength and confidence that she never knew she had. Living in two households isn’t always easy for step children, and the book acknowledges this gently. Sometimes a caring stepparent is exactly what’s needed to help smooth things over – and a little fairy dust never hurt either! With its beautiful illustrations lovingly hand-crafted by Suzi Tegelaar, My Fairy Stepmother is sure to please children of any family, especially stepdaughters. If you’re a stepmom, you need to read this book. This children’s book reveals a stepmother’s nurturing qualities that help make a house a home. Wouldn’t it be nice if kids could finally read something positive about having a stepmom rather than those old Fairy Tales that show how evil stepmoms are (which isn’t true by the way)? Finally a book that we can all love and enjoy to read to our children about what it’s like to have a stepmom and some of the concerns children have that we are adults may not be aware of. A must for any child’s library. 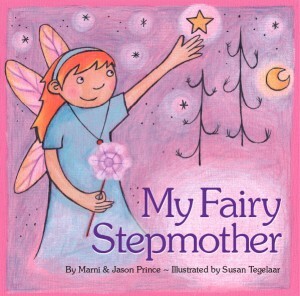 As a stepmom myself, this book touched my heart!!! Wishing that all stepmoms had the chance to be a positive and loving influence on their stepkids life. A very positive, encouraging book to share with young children who face the difficulties of growing up in more than one home. Such kids might find moving between different worlds a little confusing and scary at times, but this book will help them discover a treasure they can use to conquer all challenges! My Fairy Stepmother makes a great present, and we have other great gift ideas too! Need hosting for your blog? © 2019 A Children's Book with a Good Stepmom! My Fairy Stepmother All Rights Reserved.